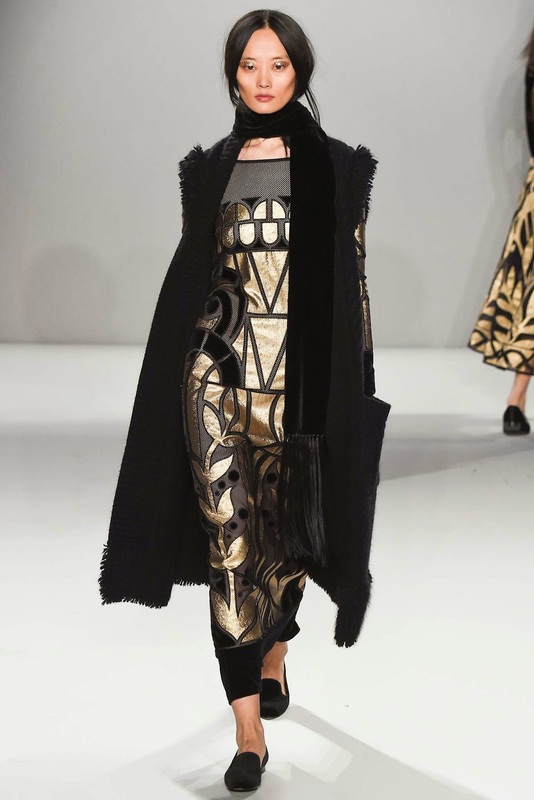 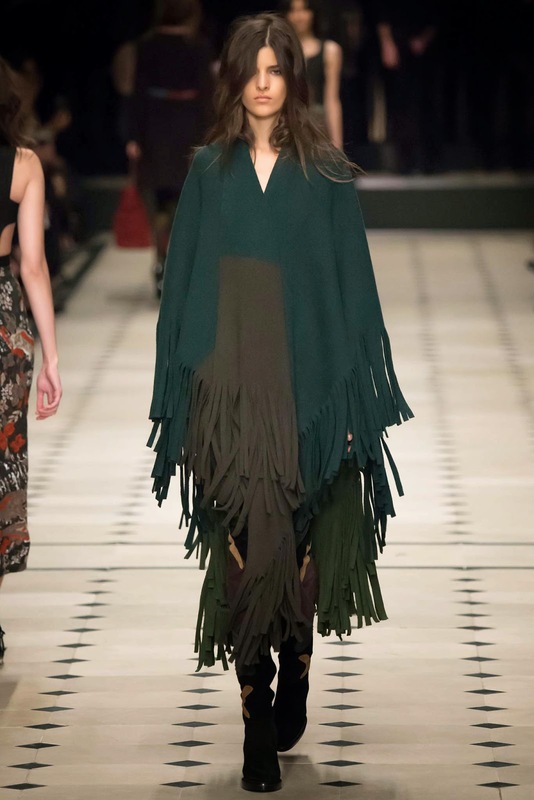 While New York was all about the fur stole London was all about the fringe and that long skinny scarf. 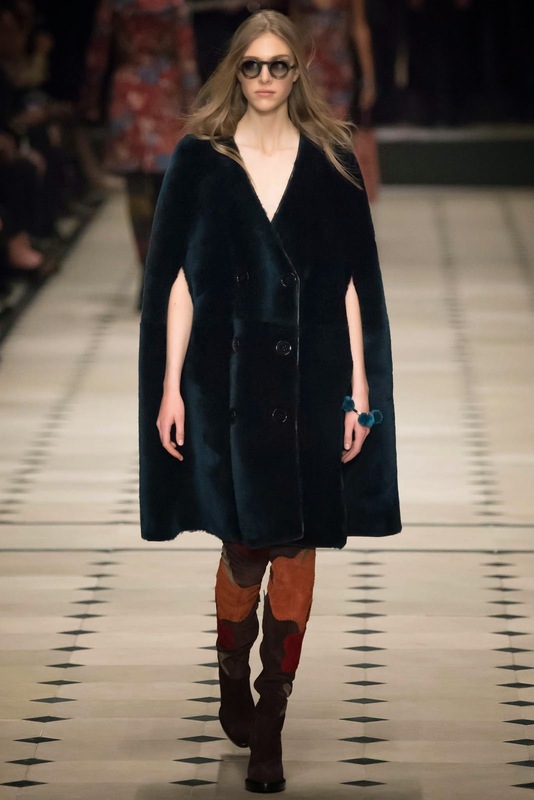 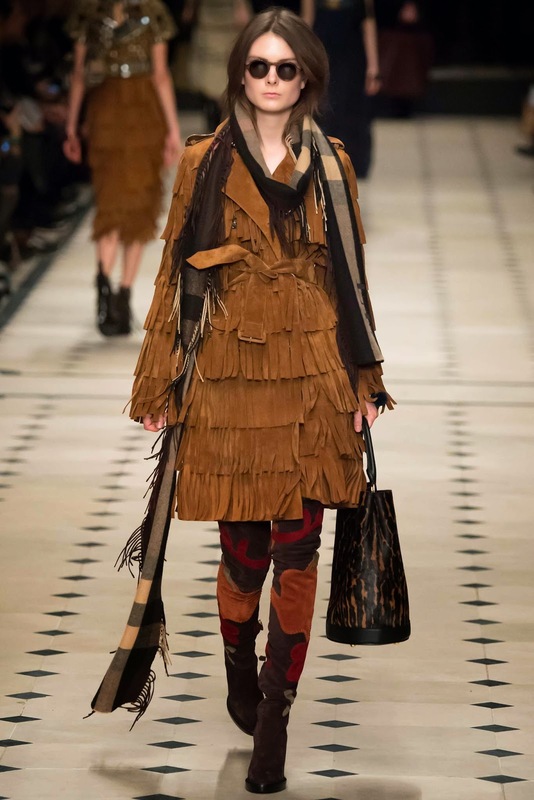 Burberry was definitely my front runner in London! 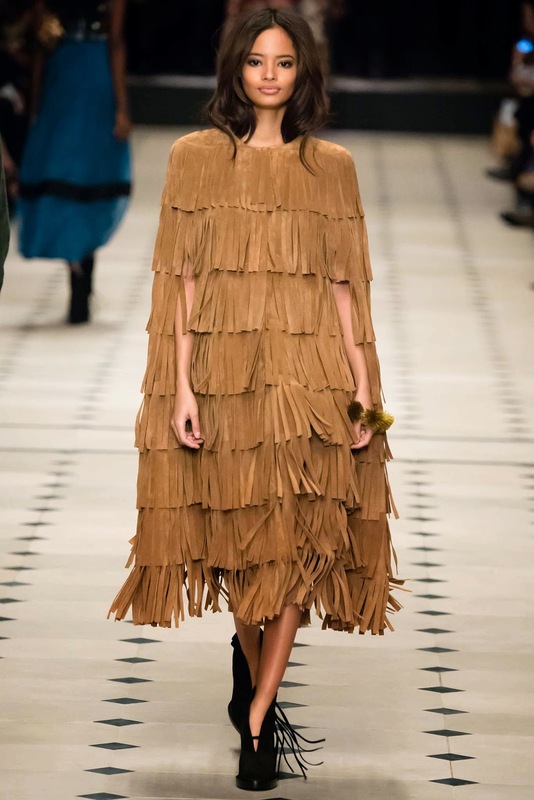 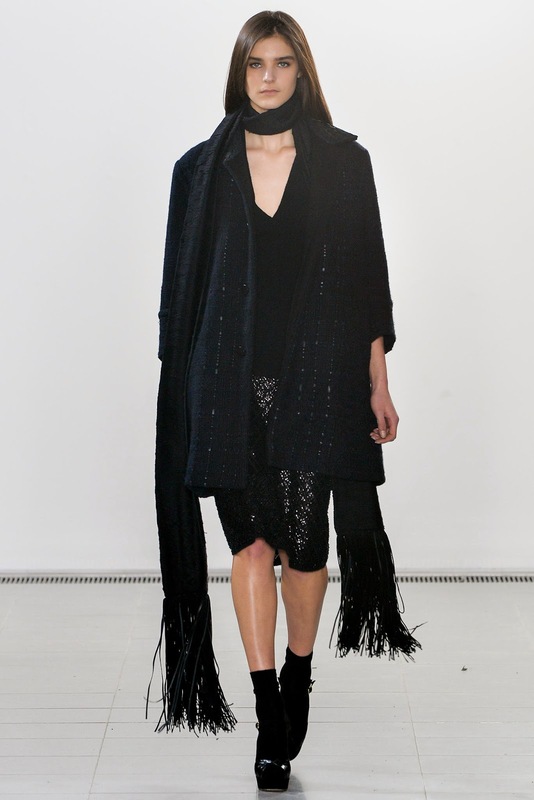 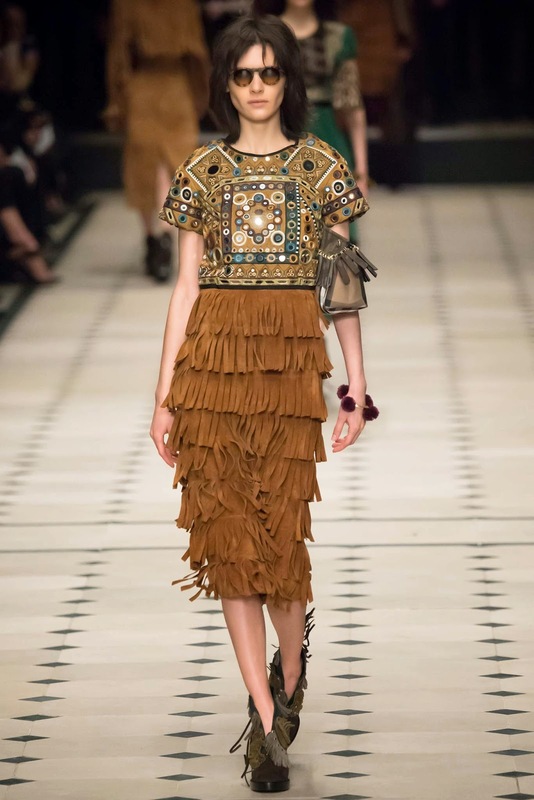 The fringe look is amazing and totally agree with Burberry. 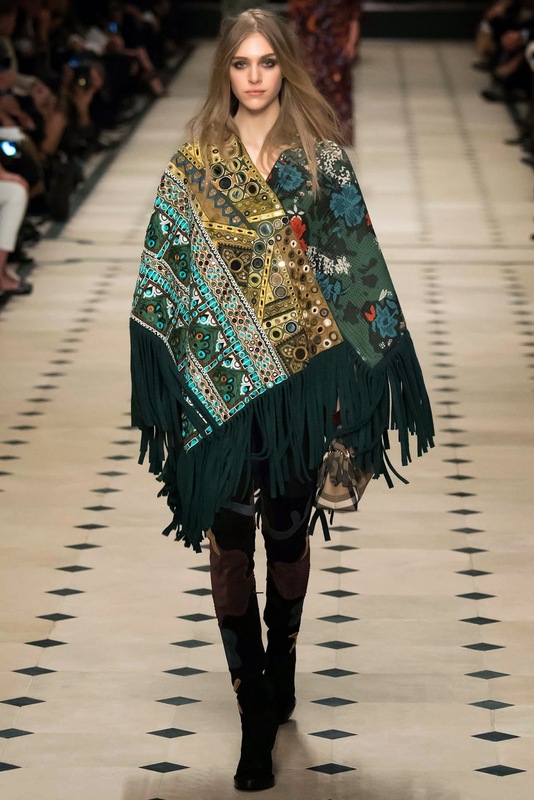 Can't go wrong with Burberry!